We all know the importance and health benefits of relaxing, it plays an essential part in helping the body to rest and repair itself after a hard and sometimes stressful day at work or trying to look after and bring up your children. Deep relaxation helps to reduce the body of any tension and stress that you have accumulated throughout your day. There are many forms of relaxing, some people like to take a nice relaxing warm bath, some might mediate, others like to unwind by reading a book, whilst some will take a nice long stroll in the countryside. And although all these are good forms of relaxation, there is a better way where you can enter a deep and relaxing state with the added bonus of helping you to make life changing improvements at the same time. You can achieve those stress reducing, body relaxing and life changing experiences through using the power of hypnosis. Many people still feel skeptical about the thought of trying hypnosis even though it is safe, relaxing and it comes with many therapeutic, health and emotional benefits. To start with, hypnosis is one of the best techniques for reducing stress and as it is well documented how bad stress is for you. In fact it is now widely regarded that stress is the root source behind many health related issues, not to mention the time people lose through days of work. With that in mind, regular hypnosis is a great asset and benefit to your health. Hypnosis is also good for dealing with emotional issues and it will help you break and change those bad habits, so that is another plus especially as emotional issues is one of the main reason why most people visit their doctors. Hypnosis is also a very powerful tool that will help you make long lasting improvements and changes to just about any area of your life. People make their biggest life changing improvements when they are at their most relaxed. This is when you subconscious is most susceptible to change, when you relax your body and calm your mind you will open a brief window where you can suspend your old beliefs and bad programming for just long to replace them with new positive ones that will support you. There are many people who still hold the misconception that hypnosis is dangerous, this however is far from the truth, the hypnotic experience is nothing more than a state of deep relaxation that in fact is very enjoyable. I use them all the time and it is a pleasant experience that you will probably find you will want to do all the time. Because everybody needs to put aside some time to relax deeply where for twenty minutes or more you can switch off and forget about the stresses and strains of everyday modern life for a while. Hypnosis is very similar too daydreaming, it is just a state of altered awareness where you will be guided into a deep state of relaxation which can only be good for you. Hypnosis is completely normal and natural state of mind that many people experience every single day. Another thing people get apprehensive with is the word trance, but we all go in and out of some form of trance throughout our day, for example when your driving you often go into a trance, when your watching television you go into a trance. It's a bit like being in the state you go into every night, the bit between being awake and dropping off the sleep. As people grow older the amount of time they spend in the deep sleep state reduces, this can lead to many people lacking in the much needed restorative stage of sleep that is beneficial for the mind to rest and repair itself. During this deep sleep state it is the time that your brain processes everything that has happened during your day, this deep sleep state is necessary because it allows your mind and body to repair and re-energize itself. During research, subjects were hypnotized and then they were given suggestions to instruct them to sleep deeper, this improved their deep sleep rate to up to 80%. During your relaxing hypnotic experience you will remain fully conscious and you will be in complete control and you will be aware of everything your doing. All the time you are experiencing your hypnotic experience you want go under anybodies control or under trance, this why hypnosis has become misleading. People think they lose control but all that happens is, you will enter a different state which is a state of deep relaxation and as most people suffer with to much stress and negative emotions going into a more relaxed state can only be beneficial. So during your hypnotic experience your going to feel really relaxed and comfortable and the good thing with hypnosis once you enter into a more relaxed state then when your session ends your will carry on feeling more relaxed and energized. If your having trouble sleeping then if your listen to a self hypnosis session at night then it will help you to relax and unwind which in time will get you into the habit of falling to sleep more easily. Your hypnosis experience will start off with a hypnotic induction, this where you will be guided to relax your mind and body, a common induction would be something like imaging your walking on a beach. Then the hypnotist will further relax you and once your in a deep state of relaxation that's when you will be guided to replace bad habits and negative beliefs. This is the part where all the reprogramming takes place, this is when you change your old unhelpful negative programs with new ones that are designed to support and help you. You may also be given some positive life changing suggestions, once the reprogram work has been done at the end of your session you will be brought back to a slightly more alert state. The results you will get will vary from person to person, some categories also work quicker than others. 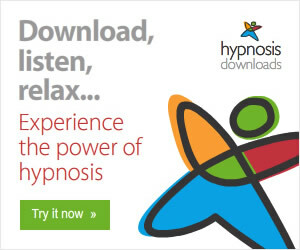 If you are the type that is highly suggestible then the results can be instant, for others they may need to use a hypnosis download session for up too three weeks or even more if it is necessary. Many people ask the question ? Does hypnosis work whilst your asleep. That depends on the type of hypnosis session that your using, if you are listening to a guided imagery session then you will need to try to stay awake because guided imagery and most of the modern hypnotists use guided imagery at some point in there downloads resolves around you participating in the session. If you are using a hypnotic session that uses suggestions and hypnotic positive command then it does not matter if you fall asleep because your subconscious mind is still capable of absorbing and acting on all of those life changing suggestions. The one thing with hypnosis is it is very relaxing and the chances are if your lying down on your bed then you might fall asleep, the more you use hypnosis the more easier you will get into the habit of relaxing very quickly. Again that is great for your body and mind, but if your session involves guided imagery and using your imagination then it may pay you to sit upright in a chair.